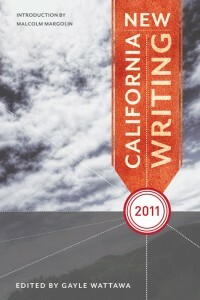 Editor Gayle Wattawa sounds a note full of depth, resonance and diversity in “New California Writing” Heyday Books new anthology series. From Michael Chabon’s musings on everyday family life in “Manhood for Amateurs” or Rebecca Solnit’s enlightening description of bluebelly lizards, on through to the very last page, there is much to ponder, embrace and recognize as the great golden State of California. Think of this book as a snapshot of a single moment, captured simultaneously by distant cousins who have never met—viewing these vignettes shifts the reader’s perspective, informing subtly, as the best writing does. “New California Writing” shows us a California that may be accurately characterized for its multi-culturalism and rich geography. Included are well-known authors alongside emerging writers. Expect luminous portraits of people and places, from the Projects to pastures, poems and essays to haunt and edify with lingering images. Some of America’s best literary and news publications are blended in the mix—Copper Canyon Press, Three-Penny Review and the LA Times—fueling contrast rather than distracting. For me, it is the pervasive hope of perseverance and Solnit’s portrait of a bluebellied lizard, doing push-ups on a hot granite boulder by the Yuba River forever in my mind, which remains. Gayle Wattawa is the founding editor of the New California Writing series and currently serves as Heyday’s acquisitions and editorial director, contributing to the shaping of a number of collections. She is also the editor of Inlandia: A Literary Journey through California’s Inland Empire. Pamela Biery is a freelance writer and communications professional who divides her time between California and the Pacific Northwest. Her work has appeared in regional and national publications. She maintains a website at http://www.PamelaB.com.